THE disappointing lack of significant summer rain relief over the Christmas/New Year period is being reflected in opening gambit slaughter cattle offers from beef processors in Queensland and New South Wales this week. Many large export processors only got back to work on Monday after their traditional summer holiday break (some plants further north do not start for another week), meaning new season slaughter cattle pricing trends are yet to fully emerge. Prior to the northern slaughter season opening in recent days, offers out of the big concentration of export processors in southern Queensland were around 535c/kg on four-tooth heavy steers and 460c/kg on cows. Given that most large processors, by their own admission, did not have a lot of carry-over cattle bookings from late last year, those rates jumped 10c/kg a week ago among competitive processors, to 545c on four-tooth steers and 470c/kg on cows. That rise, plus the prevailing desperately dry conditions in many areas, served to produce a rush of bookings – to the extent that a number of processors say they are now well supplied with slaughter stock for the next three weeks. One of the nation’s largest export processing plants has in fact withdrawn offers for the timebeing, given its current supply position. That has resulted in a 10c decline in values this week, with best offers for four-tooth steers now reverting to 535c and cows to 460c. Across the border in northern NSW, a large export processor has offers for delivery week commencing 4 February of 470c/kg on four-tooth ox and 420c/kg on heavy cows. Given current supply and weather outlook, it’s hard to see current market levels lifting again any time soon. These direct consignment price trends have been supported by a general decline in new year saleyards prices over the past ten days across the eastern states, in the face of searing weather conditions. Naracoorte sale today, for example, was 10-15c/kg down across the board, while a large 3500 head yarding at Gunnedah saw young cattle decline sharply in value and cows back as much as 25c/kg on late last year. While those areas in the eastern states that were fortunate enough to receive some decent pre-Christmas rain will have some fat cattle around them by February/March, many other areas are still desperately short of summer feed and stock water. More tough decisions on cattle disposal will have to be made in the next month, unless some significant relief emerges. Under current prevailing conditions, processors now expect cattle supply to be reasonably solid running into autumn, but supply could reach desperate levels by mid-year, given the structural damage that was inflicted on the national beef herd during 2018. 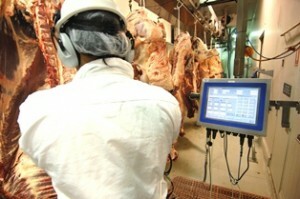 Cow slaughter, particularly, is forecast by processors to be very difficult later this year, processors suggest. Having said that, similar predictions were made this time last year – but one of the confounding things about the beef industry is how slaughter cattle just continue to emerge after sustained drought events like this one. Grainfed price offers have also declined compared with rates on offer late last year. Spot prices this week on 100-day cattle are around 550-555c/kg in southern Queensland plants, down on rates seen late last year. Forward contract delivery prices on grainfeds have also softened, with one dedicated grainfed Queensland processor offering 590c/kg for March/April delivery, down from as high as 610c/kg for HGP-implanted cattle only a month or so ago. Processors say export beef revenue from generic 100-day cattle has reached a ‘tipping point,’ pushing livestock prices lower. Strengthening in the A$ – now well above US72c again, after slipping to a three-year low below US70c briefly in early January – has contributed to that. Eastern states beef kills reported by NLRS are still in seasonal recovery mode after Christmas, with a seven-day tally of 109,713 head reported for the week ended Friday. Reflecting the dry start to the year, that figure was 7pc higher than this time last year. Queensland reported a seven day kill of 42,689 head, 6pc higher than last year, while the NSW kill at 30,411 was 5pc higher, year-on-year. Victorian processors slaughtered 26,327 head last week, up 9pc on the equivalent week last year, while SA (5363 head) and Tasmania (4923 head) both recorded kills higher than last year.